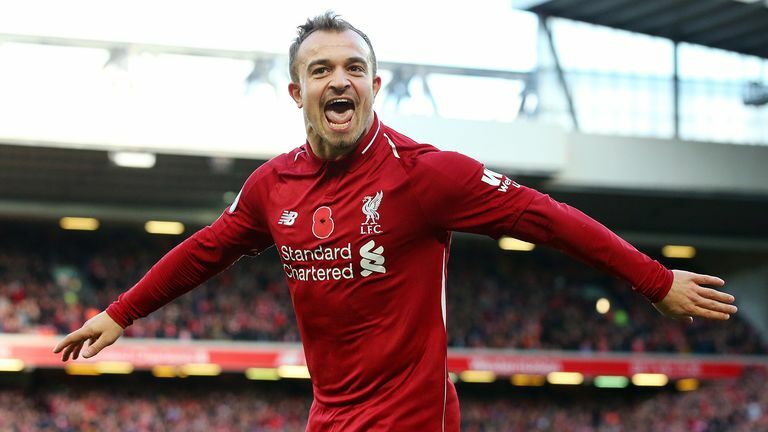 Paul Merson returns after the international break with his Premier League predictions for the weekend. 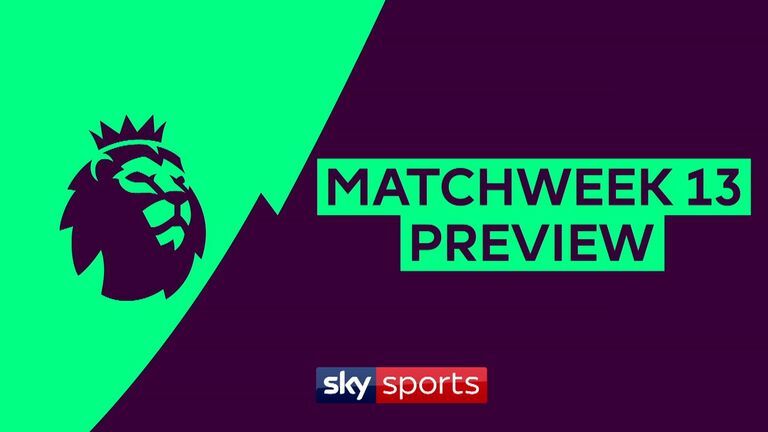 There are two intriguing Super Sunday fixtures as first high-flying Bournemouth host in-form Arsenal, before Wolves entertain struggling Huddersfield Town, with both games live on Sky Sports Premier League. Meanwhile, our Monday Night Football offering comes from Turf Moor, with Burnley taking on a Newcastle United side who have won their last two league games. 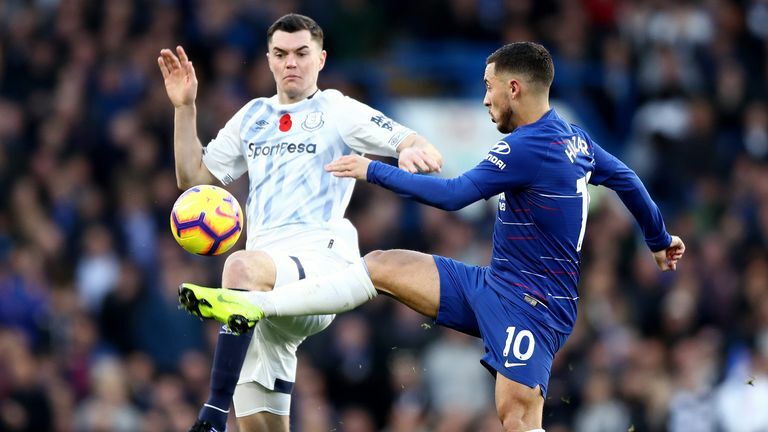 Elsewhere, there are also a whole host of eye-catching clashes on Saturday afternoon featuring the likes of leaders Manchester City, second-placed Liverpool and Manchester United, before London rivals Tottenham Hotspur and Chelsea go head to head at Wembley. This is a big match. Newcastle have done great to win back-to-back games in the Premier League, which is a hard thing to do for the teams in the bottom half. And you then help yourselves by moving away from trouble. I think teams get into the situation where they go and get well beat by one of the big sides and then they say, 'Right, we have to go out today and really put in a performance and win this game.' And then they end up getting beat again. Sean Dyche would take a 1-0 win here and he would be more than delighted with that as he would know his team will be hard to beat again. I think teams at the bottom get in this cycle where they always think they must win their next game, then they get beat again and it is relentless, the Premier League, game after game. This is one of those games that make you look silly and I say that because if Bournemouth went and won this 2-0, you would not flinch. And if Arsenal went and won it 5-0, you would not flinch either. It is a hard one, but I find it hard to look past Arsenal against teams of a lesser quality who open the game up and say, 'you have a shot, we have a shot.' Arsenal's downfall is when they do that against the better teams, they get beat. I thought Wolves were outstanding at Arsenal, they took the game to them and embarrassed them at times and Bernd Leno had to have a really good game. They were great, but again, only scored one goal and there have been other games where they were great and did not even score a goal. So that is Wolves' problem - they have not got a goalscorer and everybody is looking for one at the moment, even Chelsea. And if they can't find one, how are Wolves going to? I expect Wolves to win this as I just do not see how Huddersfield are going to get near them in the passing stakes. The pressure over the game will be too much for them and Wolves will come out winners. I do not know if it will be early doors, or late doors, but Huddersfield will not be able to defend for that long. And Huddersfield are really not a keep-the-ball team, they like to get it forward and I just think it will be wave after wave of Wolves attacks, so I'm going to go for 3-0 to Wolves. Brighton need to win this game. 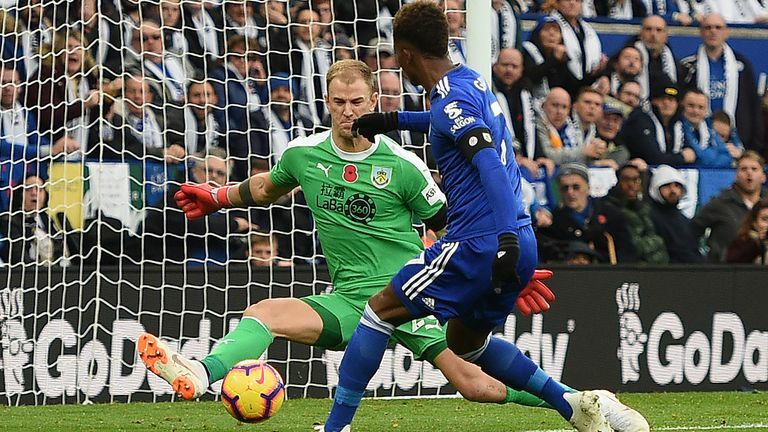 They are half decent at home, whereas Leicester have looked a different team of late, drained - a lot has gone on in the last few weeks which has taken its toll on the players. This is a difficult game for Leicester and I just see Brighton winning this one. It has been hard for Leicester's players, who have been a credit to the club, but I think this will just be one game too many. I was at Chelsea before the international break and Everton were very good defensively, they defended well and had a good shape. They did what a team should do by going away to a top-four side and be hard to beat. They did that and now they have to win their home game and if they do that, then the Chelsea draw will be a good result. And I expect them to win - Richarlison is scoring for Brazil and so will be full of confidence, so I am going for a 2-0 win to Everton. I can't do Fulham they are all over the place. Fulham have to win this game. To be fair to them, I always felt sorry for Slavisa Jokanovic as I have always said that, if a team comes out of the Championship who should not really, they should be given the whole season. They got you into the dreamland and you do not become a bad manager, you just come up against better teams week in, week out. The problem I have with this game is, let's be honest, Fulham have to win this game, so nothing really changes for me as they are going to play open and defensively, they are just not good enough. I have said all along that their Achilles heel is Aleksandar Mitrovic. He is their best player, he has been great for them and scored goals, but because he has no pace, they can't play counter-attacking football. So they have to then play higher up the pitch and because they play so open, that is where they struggle. A very comfortable win for United. There are worse Premier League teams than Palace, but it is quite worrying for them. They are solid at the back, but cannot score or get things going. So this is the perfect game for United - Wilfried Zaha has gone off the boil a little bit, he is trying to do everything himself like the school captain and is not running with the ball so much, instead trying to hold the ball up and win fouls. So I think he needs to get back to what we were all talking about at the start of the season - about how great he is. Watford are a decent team - they should have beaten Newcastle, they had enough chances. And this is a hard game for Liverpool coming after the international break, while they have a big game at PSG on Wednesday. But let's be honest, if you are Liverpool, you want to win the Premier League rather than the Champions League. They need to win that, so they must win here, but I just think this will be a hard game for them as Watford pick themselves up majorly for these games. I do not see Watford winning this, but I do see them causing Liverpool problems as they are a much better team than people think they are. They beat Tottenham at home and should have beaten Arsenal away, so they are no pushovers. I can't see anything other than a City win and I can't see anybody outside the top six beating City either this season. 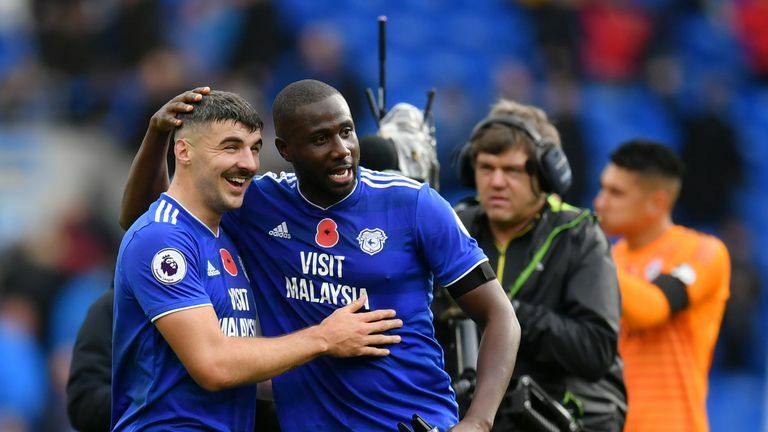 They are a million miles above the others and even if they had to chase a game with 15 minutes to go, they can bring on three internationals, so they will at least get a draw. 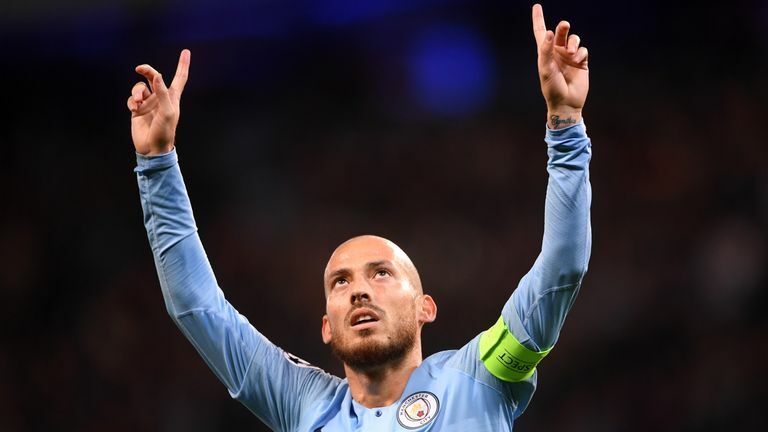 I think West Ham will score as Marko Arnautovic will cause problems against City's centre halves, no doubt about that, but that is about all I can give them if I'm being honest. It should be a great game and for both sets of fans, this is the game. So a massive match and I do not see a great deal between the two teams. At the moment, Chelsea's match winners are playing better than Tottenham's, like Eden Hazard, Ross Barkley, Willian and even Pedro had one of his best games against Palace. I do not see Chelsea losing, so I am going for a draw, which would be a good result for them. I mean, let's be honest, Chelsea are not going to win the league this season, top four is the main thing. And if they come second or third in the manager's first season with a team that were nowhere near last year, I think that would be a really good start. 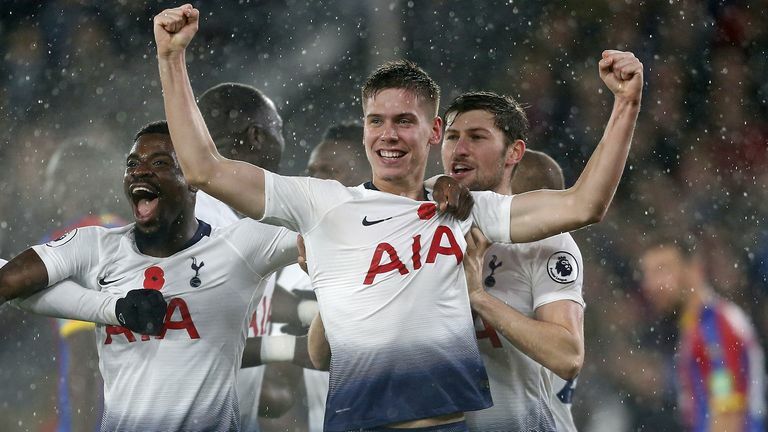 Tottenham, meanwhile, have set themselves a really high standard and they are probably better off than they have been all season. But these players have to keep doing this week in week out, they do not have the squad. If they are losing on Saturday, Mauricio Pochettino will turn round to the bench, but who will he bring on? Whereas if Chelsea are losing, Barkley, Olivier Giroud, or Pedro could be a sub and these are players who can come on and change a game. 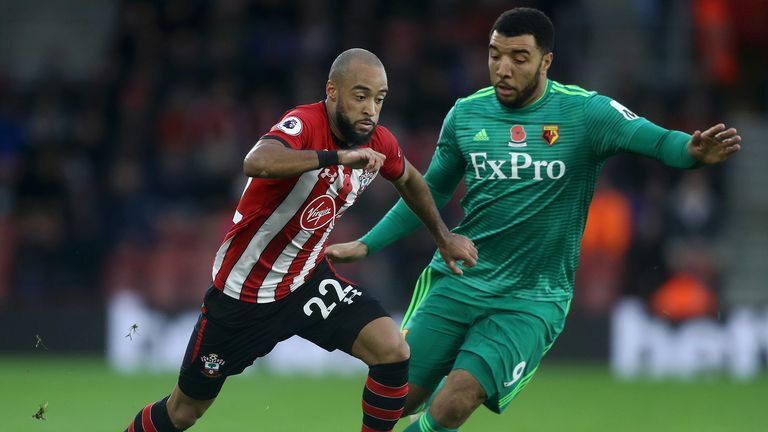 Howe to make the step up? But who can change a game for Tottenham? So that is where I think it will take its toll on them at the end.